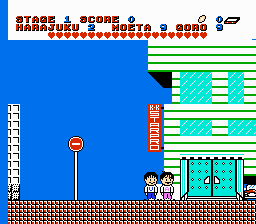 Hana no Star Kaidou is an action platformer game for the Nintendo Entertainment System. 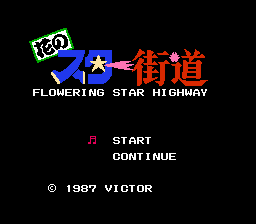 This is an English translation patch for Hana no Star Kaidou (”Flowering Star Highway”), a game released for the Nintendo Famicom in 1987 by Victor Music Industries (now known as Victor Entertainment). 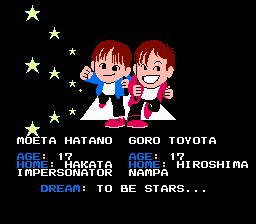 As might be expected from a music company, this game is about two teen-aged Japanese performers trying to make it big in the music industry. 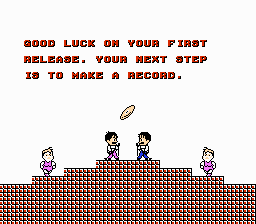 As might also be expected from a music company, this game isn’t very good. 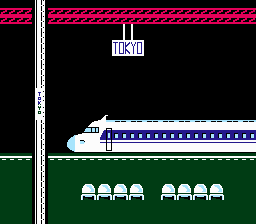 There are two patches: one for purists that only translates the small amount of Japanese in the game into English, and another that also edits all of the game’s infamous Engrish text into something that makes more sense.